A few weeks ago Whole Foods set out to break the Guinness World Record of number of Parmigiano Reggiano wheels cracked simultaneously. Jack and I were the “official” witnesses of Parmageddon at our Austin store. I know what you might be thinking… how does the lactose intolerant girl get herself into these things? Well, first of all, Jack will not ever turn down an opportunity for free cheese. And second, in recent years I’ve learned that hard cheeses don’t have very much lactose, and that I don’t have as much of a problem with really high quality cheese. (ie. just say no to the processed Kraft green canister). But what’s really special about this freshly cracked parm is that it’s so soft, light and buttery you could eat slivers of it all by itself. Or make fancy grilled cheese out of it like I did. I paired mine with sweet fig jam, a drizzle of balsamic, and some peppery arugula. 600 wheels of Parmigiano Reggiano were cracked that day throughout stores in the US, Canada and the UK, so you still have some time to go try it out yourself. 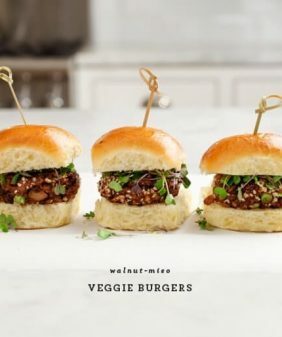 Special thanks to Whole Foods for partnering on this post. 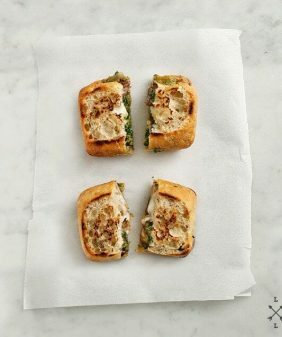 Assemble sandwiches with cheese fig spread and (optional) a drizzle of balsamic vinegar. Heat butter or oil in a pan or grill pan. Grill for a few minutes per side, pressing sandwiches down with the back side of a spatula. Or for a panini press effect (without the press), weigh them down by placing a heavier pan on top. As for the whole foods excursion, I wish they were doing that at the whole foods here in NYC (Chelsea). Maybe they did have it but I just didn’t know. Either way sounds fun and who wouldn’t want some high quality parm for free. this looks SO good! 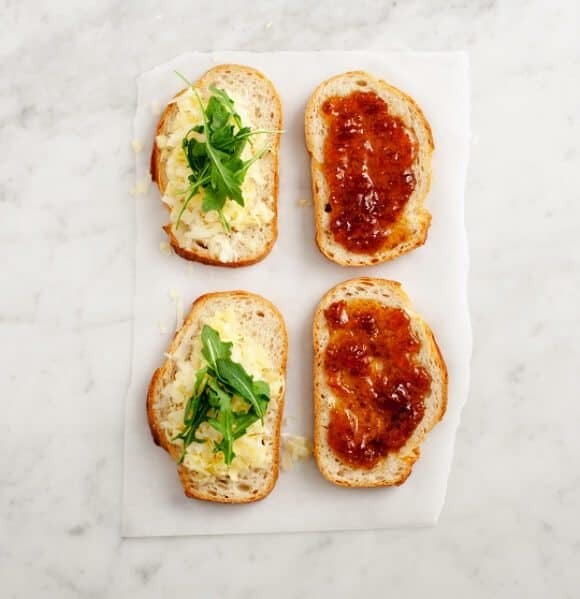 Love the sharp cheese, peppery arugula, and sweet fig spread – genius. I will never say no to cheese either. I love it in many many forms. But I also like to mix it with something sweet. This sounds amazingly delicious!! 😛 I can’t wait to try it out! Yes, please! I could never turn down anything with Parmigiano! I love that you used Parmesan! This grilled cheese is super unique and looks sooooo fabulous! Oh goodness, now you’ve whetted my grilled cheese loving appetite! I think I’ll make an apple butter and sharp cheddar sandwich for dinner tonight. Thanks for the inspiration! yum, I just love a salty & sweet combo! Dyyyyying for 325346 of these right now. 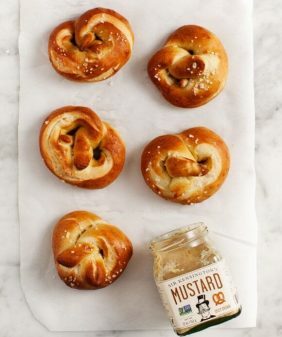 Something salty, something sweet and BREAD! How can it go wrong? PERFECT inspiration for dinner! 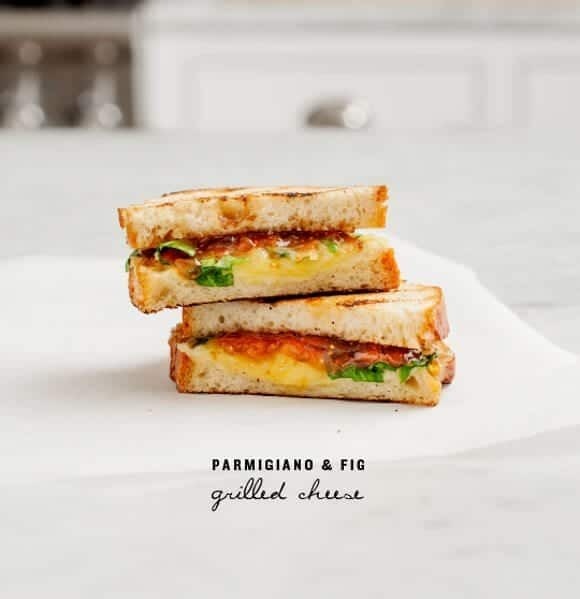 I have all these ingredients on hand (cheese, fig spread, bread, and arugula are all major staples in our house), although I will likely swap out the parmesan for the cave-aged gruyere I also purchased at Whole Foods. 🙂 And the bread for the German whole grain farmer’s bread I usually prefer. Can’t wait! I think hard cheeses are higher in fat, and dairy fat doesn’t contain lactose so maybe that’s why you can tolerate them. A truly yummy looking sandwich. It’s look amazing. I love figs with some cheese so I need to try your combination of these ingredients. This looks so mediterranean! 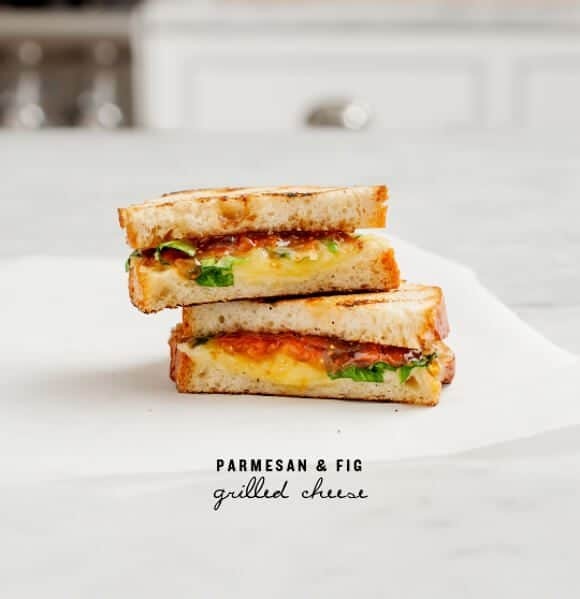 Fig + parmesan is a great combination. Wouldn’t have thought to pair it in a grilled cheese! I just love the combination of fig and Parmesan. What a simple and beautiful sandwich! I enjoy the flavor of figs, but rarely know what to do with them. Problem solved! Thanks for this delicious-looking combination. And for the record, I’m with Jack. Never pass up free cheese. I love to keep coming back to your site, everything looks so fresh and appetizing. This sanwhich I HAVE to try it, I love cheese in all its form and this coulnd’t be more right for me! I am lactose intolerant too but somehow cannot entirely give up the fancy cheeses so I was happy to see this post! Plus figs + arugula is always a winning combination, yum. Oh my goodness – I’m not even such a fan of sandwiches generally but this one looks out of this world! I’ll definitely try it out tomorrow! 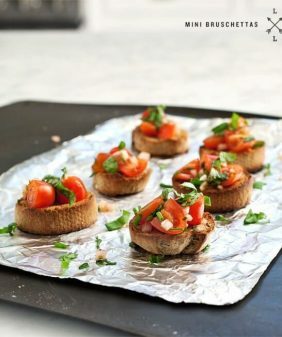 Love all your recipes, I have you on the inspiration page of my blog. Oh man, these were so amazing! For some reason I thought I would be the only one to like these in my family, but I was SO wrong! 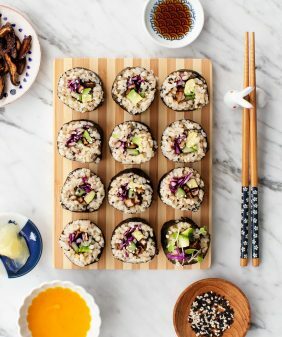 My husband and kids (ages 1 and 3) all loved them and I had to make a second batch for everyone 🙂 I shared this recipe in a recent meal plan on my blog, thank you! This was DELICIOUS! Just made this on a panini press (with a cup of roasted tomato soup). I found the fig spread in the produce section at Whole Foods. Thanks for the recipe! so glad you liked it! 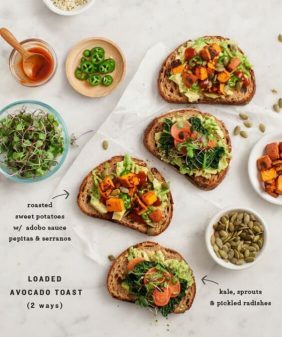 Isn’t that fig spread from Whole Foods amazing?